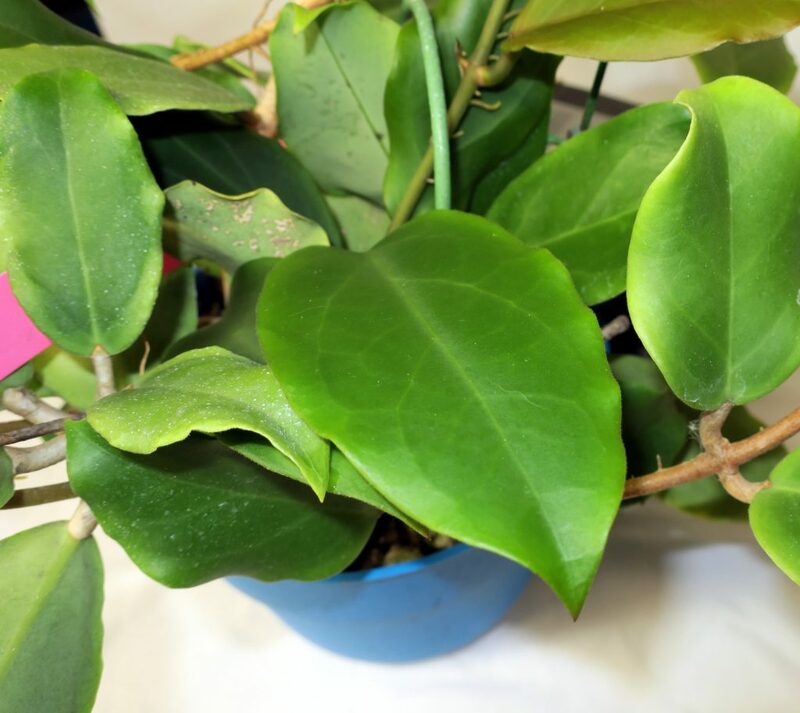 The photo below shows the leaves of Hoya incrassata, which while not spectacular are nice none the less. A special variegated version of this plant has been developed called Moonshadow. As a side note, I’ve heard rumors that many of today’s variegated Hoyas have been created by altering the plant’s genome using portable X-ray machines and Colchicine – a powerful poison derived from the Autumn Crocus. There is a large financial incentive to come up with these plants as customers always want the newest and the greatest. With very few exceptions, I’m not generally a fan of variegated Hoya. This entry was posted in Hoyas on March 3, 2017 by Doug.